The highlight of the EA Play 2017 event was Star Wars Battlefront II. The first, new, Star Wars Battlefront was wildly successful and a sequel was inevitable. With that said, just about everyone who played the last game came away with the same critiques. There was not enough content in the game without purchasing the $50 season pass. It also lacked a single player story mode. This was particularly egregious considering how important story is to the franchise as a whole. EA made several reveals and announcements during their show to help answer some of those concerns. We already knew that Star Wars Battlefront II would include a single player campaign that is being written my Walt Williams and Mitch Dyer. They showed off a video that gave more story details, but left a lot to the imagination. The biggest announcement of the night was that all of the post release content for the game would be free to everyone who owns the game. This a big departure from the sales model from the original game. They also announced that Finn and Captain Phasma from The Force Awakens will be part of the first heroes to be added to the game after launch. Multiplayer will receive some tweaks as well. Most notably, the game will feature class based combat for the first time. The different classes will be Assault (a standard run and gun character), the heavy trooper (slower, but with bigger guns), the specialist (uses long range weapons with scopes. Read: sniper), and the Officer (a character centered on buffing and healing the team). This class variety will be a huge help in keeping combat interesting for players who may have struggled with the last game. 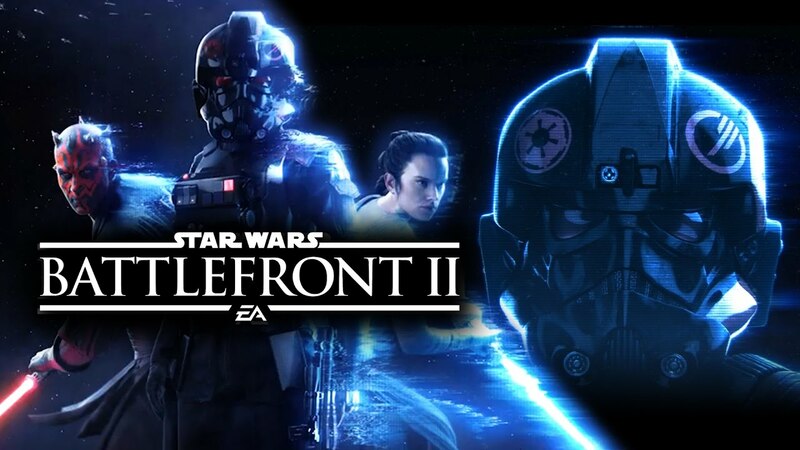 EA will be revealing more information throughout the summer and holding a beta for players who preordering the game in the coming months.